Beets, you either love ’em or hate ’em. I used to be on Team Hate, but changed my ways. Now, I say give me all the beets! 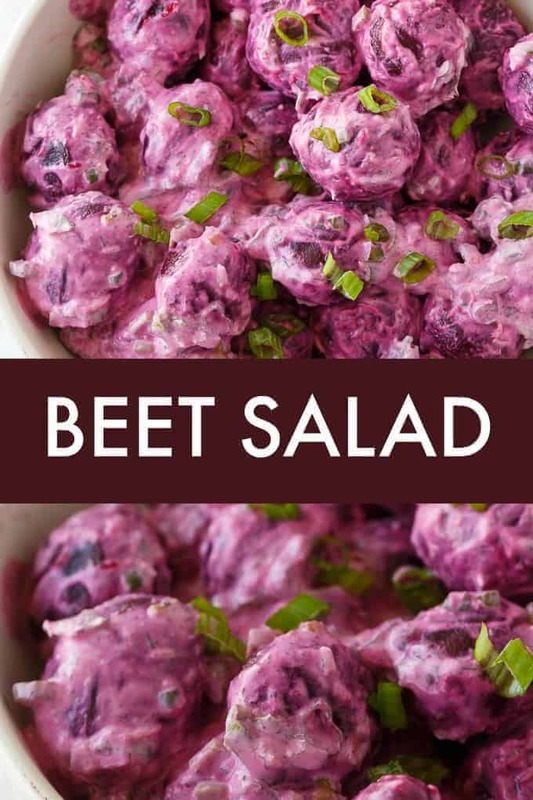 I made a Beet Salad that is perfect as a summer side dish to go with your steak! 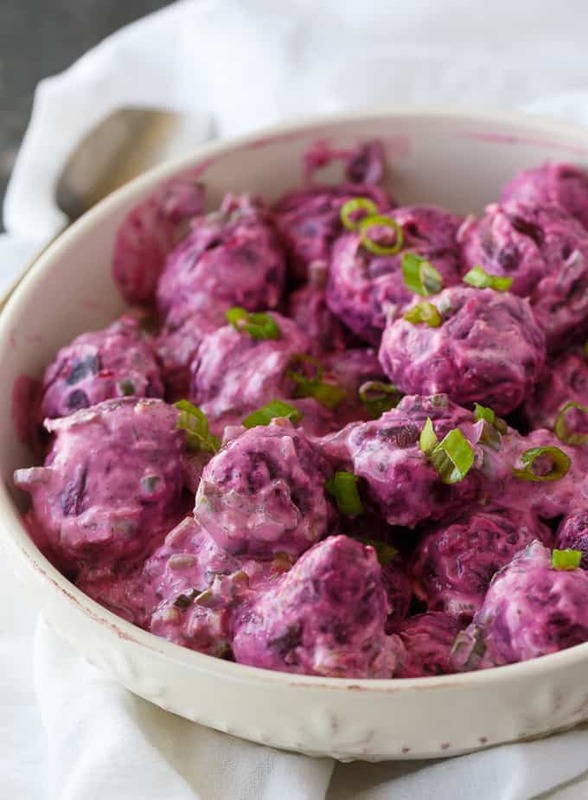 If you Google Beet Salad, you’ll find all sorts of results. 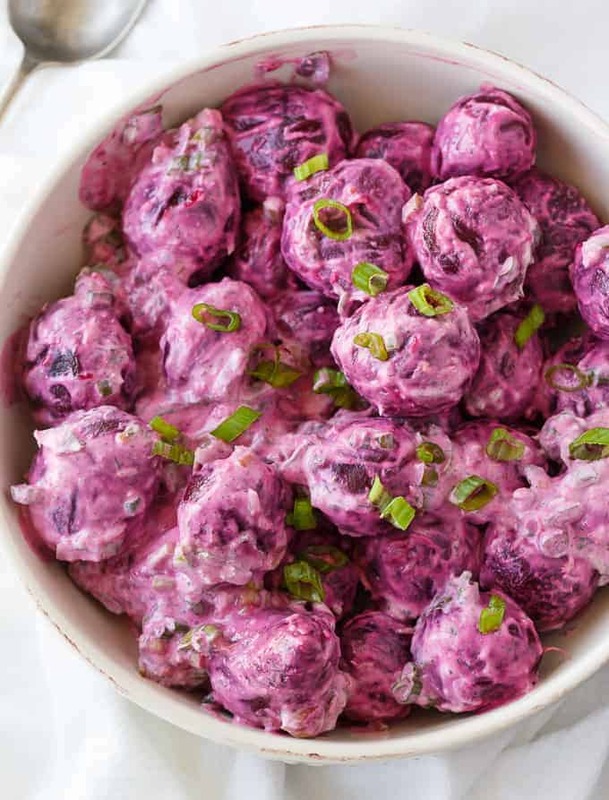 My Beet Salad uses pickled beets and has a creamy dressing with a kick of horseradish. Each bite bursts with flavour. This salad would also work if you wanted to use the non-pickled variety of beets. I used Baby Pickled Beets so I wouldn’t have to chop them up and stain my cutting boards. Plus, no purple fingers. Sliced pickled beets would also be fine. In Canada, it was two jars of Baby Pickled Beets. The beauty of the recipe is how effortless it is to whip up. It’s basically adding all the ingredients to a bowl and stirring to combine. 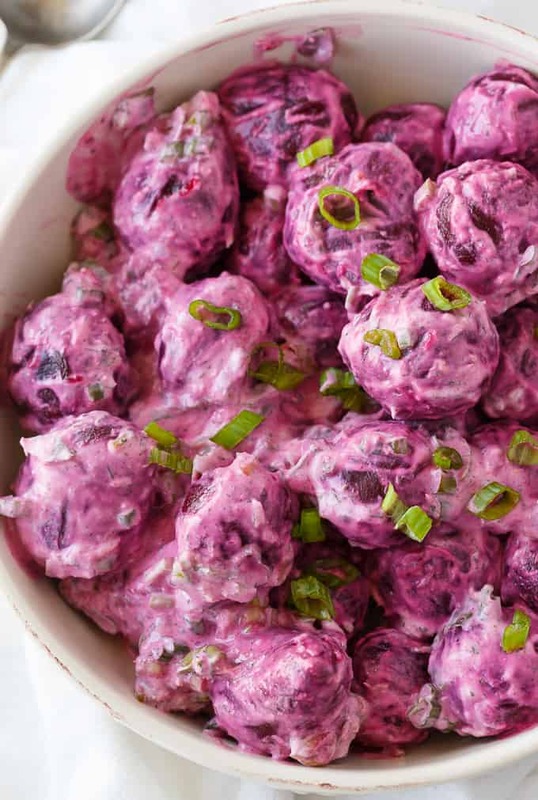 The ingredients are sour cream, horseradish, dill, beets and green onions. 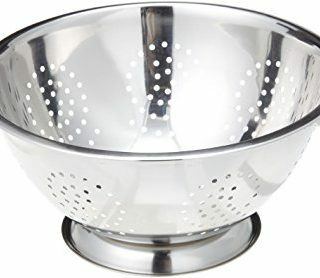 Put the bowl in the fridge until you are ready to serve. 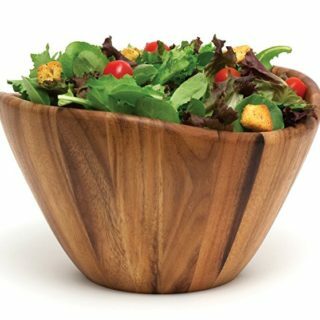 It makes for an eye-catching salad, don’t you think? I love the purple! I wish all my recipes photographed this pretty. 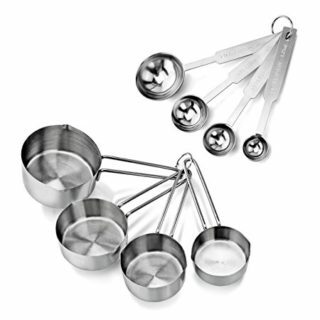 If you are serving a larger group of people, simply double or triple the recipe. As is, the recipe serves four people. I gave my friend, Becky, a bowl to take home with her. She ate it for summer with a steak. She said she put the Beet Salad on top of the steak on her plate and ate it like that. Sounds delicious! 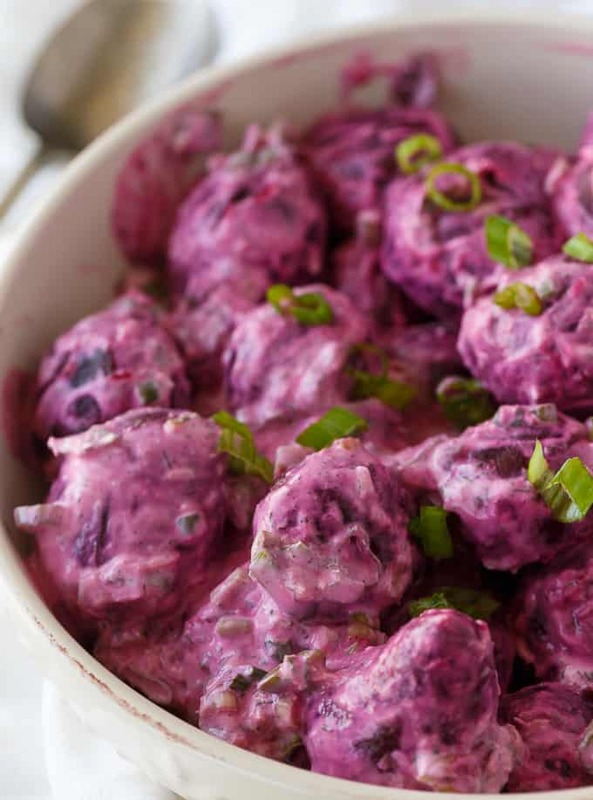 Beets are high in vitamins and minerals and are a food you can feel good about eating. We always have pickled beets at family dinners. My mom is obsessed with them. 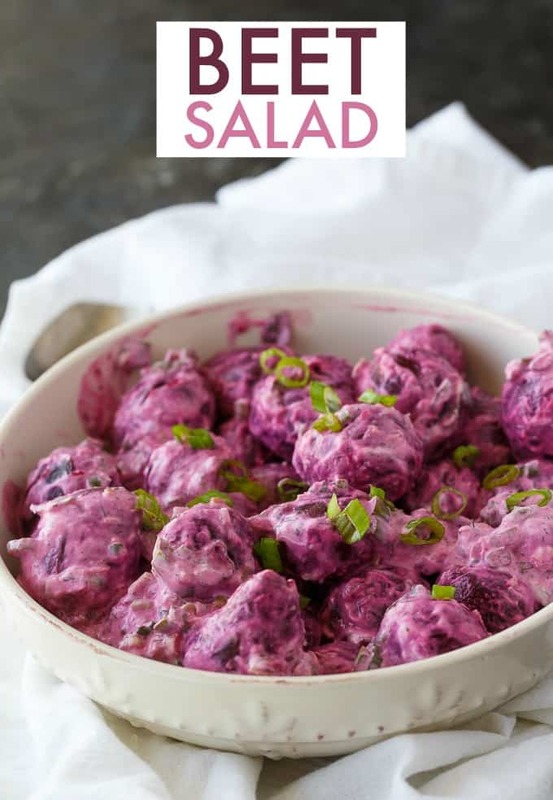 I can’t wait for her to try this yummy Beet Salad. I know she is going to love it. You might also like this Christmas Salad or Moroccan Beet Salad. Are you Team Love or Team Hate for beets? Creamy with a kick! This easy side dish recipe pairs well with steak. 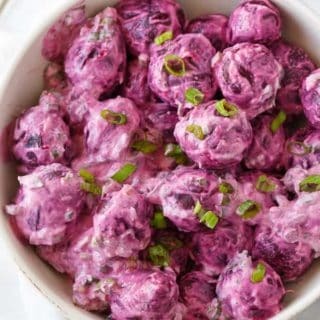 Add sour cream, horseradish, dill, beets and green onions to a bowl and stir to combine. Refrigerate until ready to serve. This salad loooks amazing, and perfect for summer! I can’t wait to try it soon! 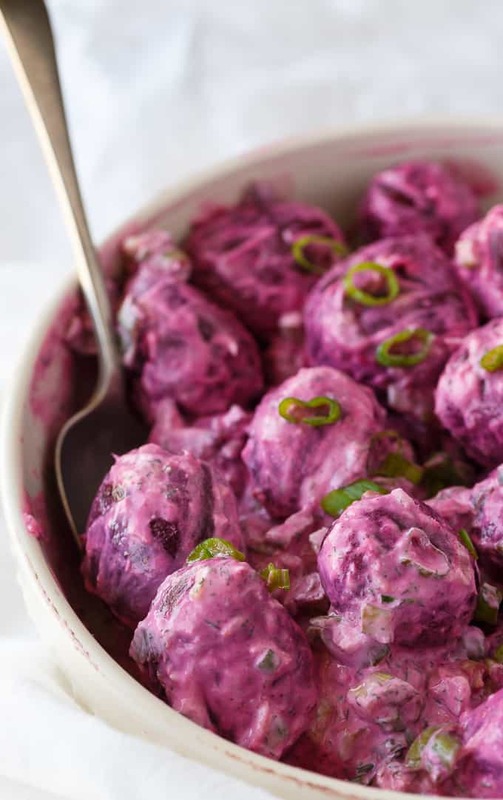 I love the dressing for your very special beet salad! Hope you are having a great weekend and thanks so much for sharing with Full Plate Thursday! That color is beautiful Stacie and I’ve always been a beet lover. It just one of those crazy, good veggies that always taste yummy for me. I’ll definitely be try your recipe. I wonder if using fresh beets would work too? Thank you! I think that fresh beets would work, too.